This week Tax Day brings deals from Boston Market, Dunkin', Firehouse Subs. Laura Oliver from www.afrugalchick.com has your big savings for the week of April 14, 2019. It's Free Cone Day at Ben and Jerry's on April 9! 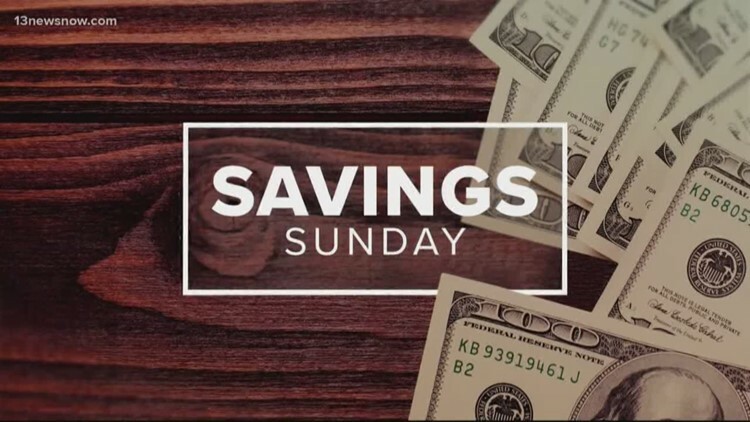 Laura Oliver from www.afrugalchick.com has your big savings for the week of April 7, 2019. Deals include Virginia Zoo, Busch Gardens Williamsburg, Carrabba's and more. Laura Oliver from www.afrugalchick.com has your big savings for the week of March 31, 2019. Some deals include Colonial Williamsburg, Busch Gardens and more. Laura Oliver from www.afrugalchick.com has your big savings for the week of March 24, 2019. Laura Oliver from www.afrugalchick.com has your big savings for the week of March 17, 2019. Laura Oliver from www.afrugalchick.com has your big savings for the week of March 10, 2019. Laura Oliver from www.afrugalchick.com has your big savings for the week of Feb. 24, 2019. Laura Oliver from www.afrugalchick.com has your big savings for the week of Feb. 17, 2019.